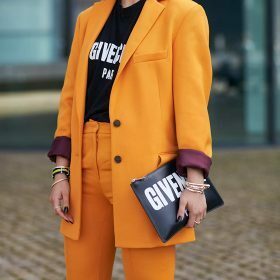 Part of the essentials range: women’s skinny pants are just something you’ve got to own – find out where you can buy your next pair on Fashiola. Every style, color and brand can be found right on this page. Are you looking for a pair of patterned skinny pants? Cropped? Formal pair? Or a pair of luxury Calvin Klein pants? Trust us, browse through the pages of skinny pants and you’ll find whatever it is you’re looking for – why not use the filters for color, brand, size and price to help you?